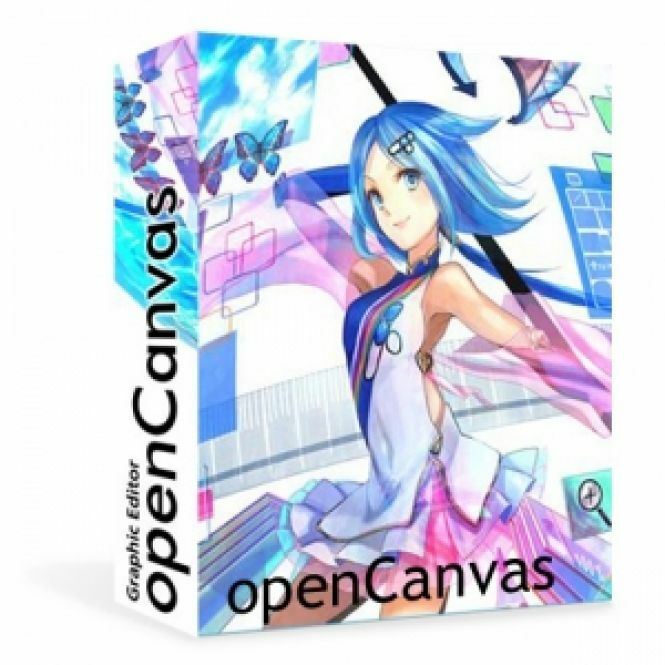 openCanvas - download in one click. Virus free. Download the latest version of openCanvas with just one click, without registration. It is a standalone setup package that contains the full offline installer for openCanvas. Illustration creation is a very complicated and, at the same time, a very interesting process. To make it a pleasant task you need a good tool to be at hand. 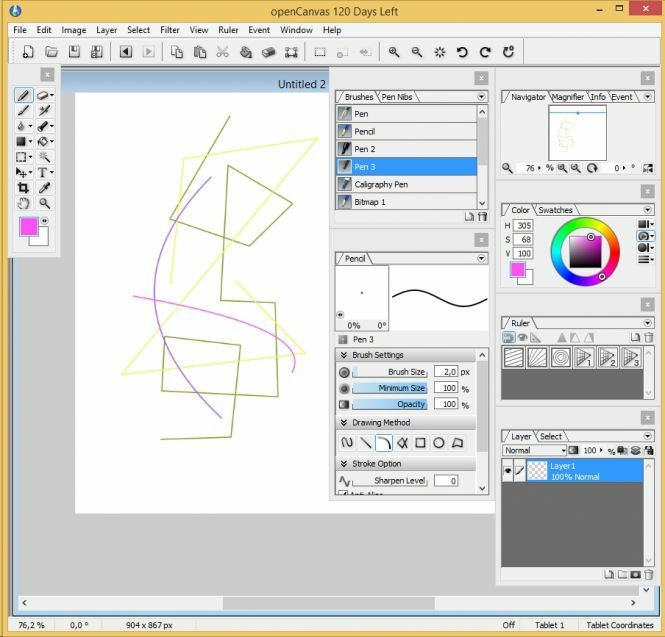 openCanvas is a bit more than the majority of drawing tools we got accustomed to, thus it may be recommended. First of all, its interface is similar to the most popular painting software making it easy to work with. Besides, you can customize its appearance the way you like by docking or changing the position of pallet windows. The most distinct difference of the interface from other similar applications lies in the layer organization – you can create Layer Sets: folders where multiple layers can be put for more organization. 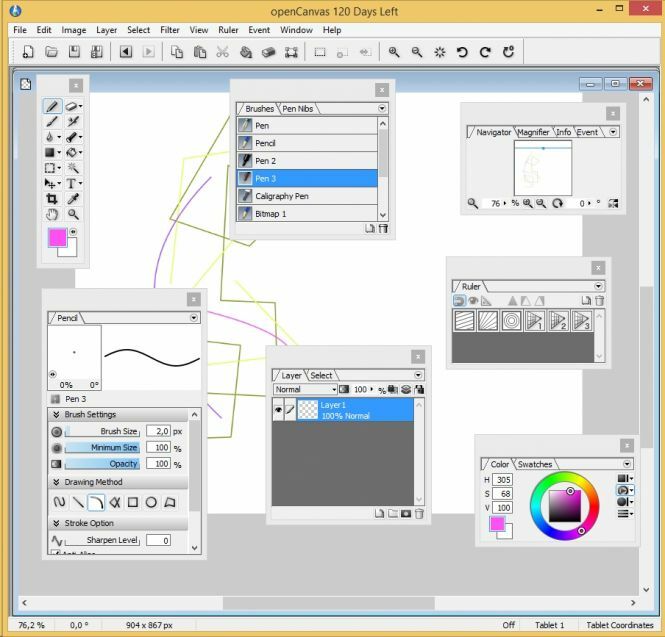 Many artists will be glad to hear that the program supports PSD format providing you with the ability to migrate between openCanvas and Photoshop if there is a need for it. Last, but not least, Event Function is the main feature that makes openCanvas stand out. It records your drawing steps and replays the whole procedure upon your command. It allows to see each move of the brush and other settings used as if the illustration is being created right in front of your eyes while being explained. Summing up, openCanvas is not only a convenient illustration creation tool, but also an easy to use tutorial maker. It has a long trial period allowing you to check whether it will run smoothly on your PC and whether its functionality is sufficient for your needs.